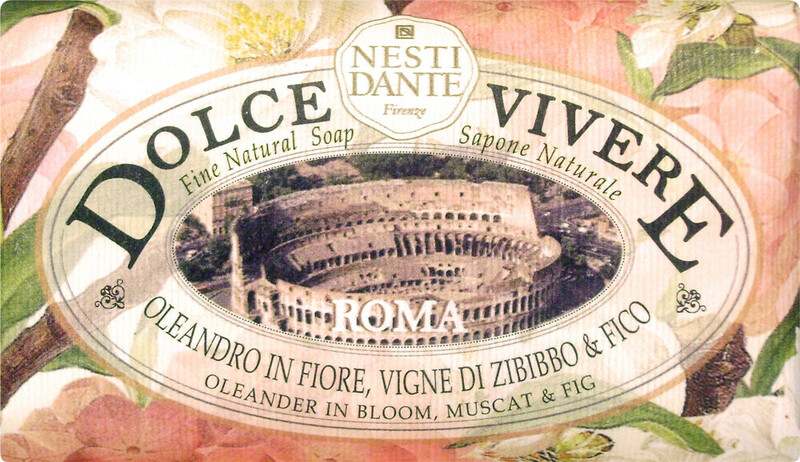 Ancient and beautiful, the Nesti Dante Dolce Vivere Roma Soap captures the enduring appeal of one of the world’s oldest cities. This most treasured of places is perfectly captured in a precious fragrance of blooming oleander, muscat and fig. A meeting of ancient architecture with natural elements, old with new. A spontaneous and invigorating aroma that will last the test of time, just like its source of inspiration. Crafted from whole natural vegetable fats rich in glycerides, Nesti Dante soaps are created using a traditional saponification method. This ensures a luxurious bar that produces a rich and generous lather, which pampers the skin with every use. Work the bar between your hands and massage the lather all over the body. Keep soap in a clean, dry place after use to preserve its longevity.